Dance floor hire in Leicester, Nottingham, Derby and surrounding areas. 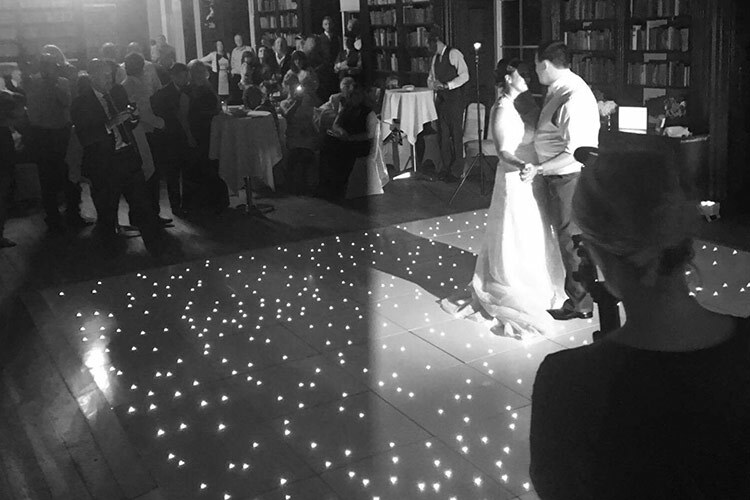 Read about our Dance Floor hire at the wedding of Rebekah and Ross at Quorn Country Hotel, Leicestershire on New Years Eve 2017. Dance Floor Hire at Prestwold Hall,Leicestershire. 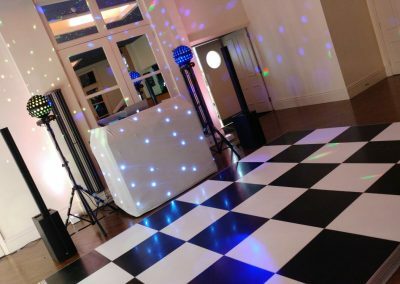 Read about our Dance Floor hire at Leicestershire’s Prestwold Hall. 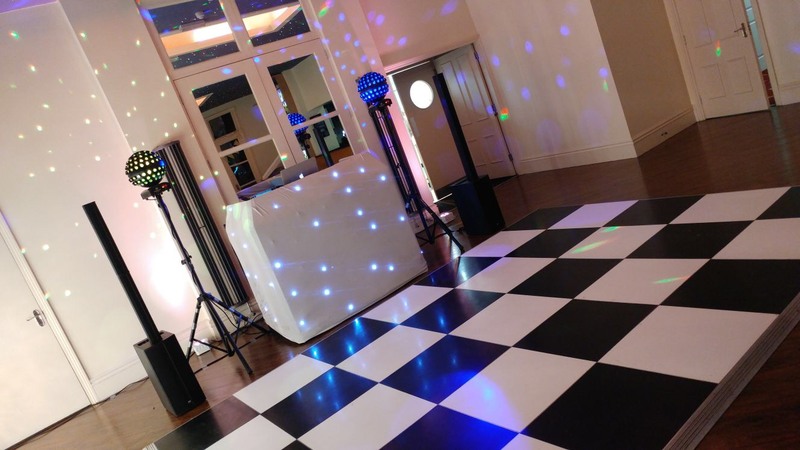 Read about our Dance Floor hire at Quorn Country Hotel, Leicestershire. Read about our Dance Floor hire the New Bath Hotel & Spa in Matlock Bath. 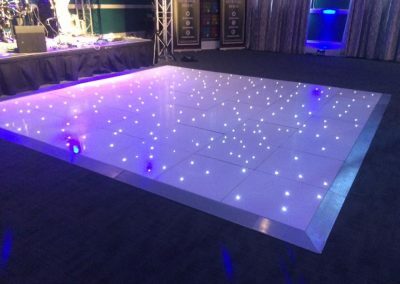 If you want to entice your guests onto their feet, they won’t be able to resist having a boogie on our White LED Starlit Dance Floor. The water-resistant non-slip starlit panels lock together so they can’t come apart even under the most vigorous dancing shoes. 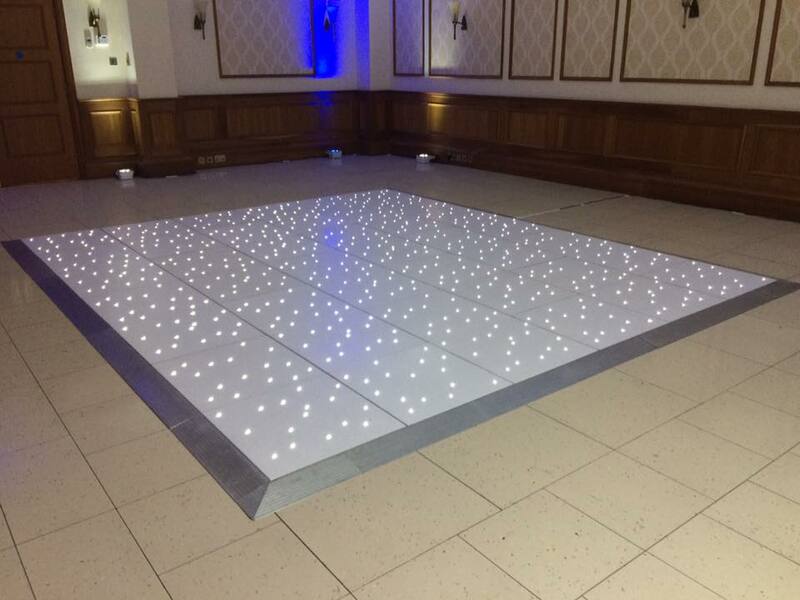 Our dance floor comes available in sizes from 10 x 10ft to 24 x 24ft. 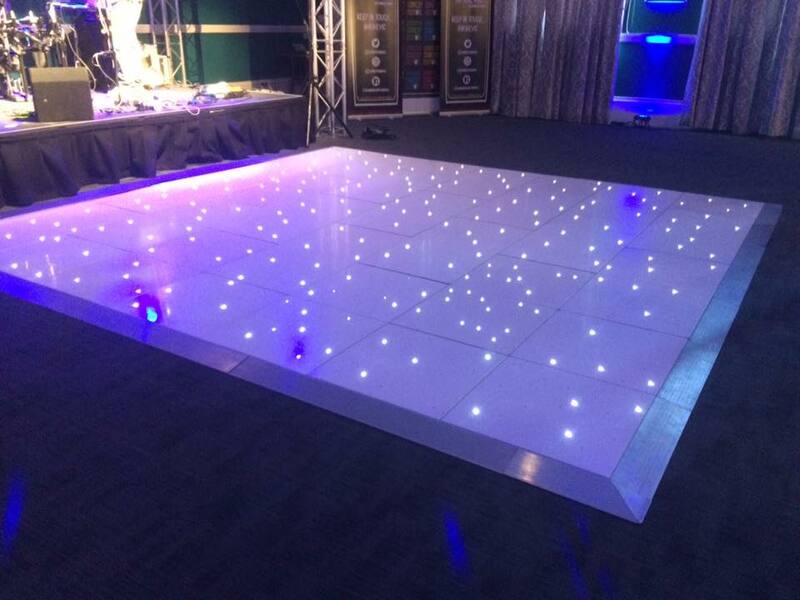 Our white, LED starlit dance floors are easily accommodated in venues of any size. 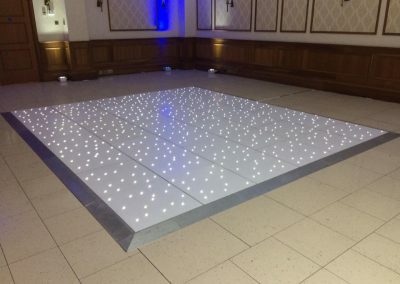 The LED starlit dance floor is a popular choice for weddings. It comes supplied with a wireless remote control so your wedding DJ will be able to create the right effect. There are 6 different twinkling speeds as well as full on and off, all controlled by the wireless remote. The hire price includes setup and installation of the dance floor. We will also arrange our service directly with your venue so that you can feel at ease for your wedding day. 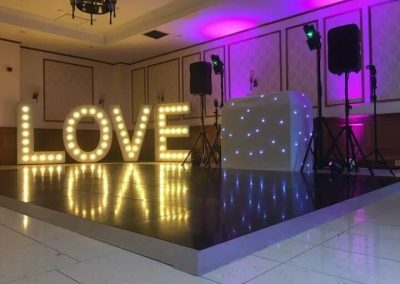 Our professional team are always on hand to answer any of your questions – simply contact us on (01509) 768520 or fill in the contact form below with any of your questions or requests, or to hire a dance floor for your event in Leicester, Nottingham or Derby. Our dance floor services are available in Leicestershire, Nottinghamshire, Derbyshire and the whole of the Midlands. Jackstar Weddings offer Everything you need for an unforgettably fun wedding day!